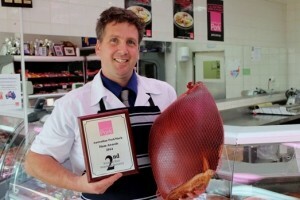 Meatways Butchery has also taken 1st place in both boneless and bone-in ham for the ACT and placed 2nd nationally for their boneless ham in the prestigious Australian Ham Awards, held as part of Australian Ham Week which runs from 30 November to 6 December to celebrate and promote home-grown ham. 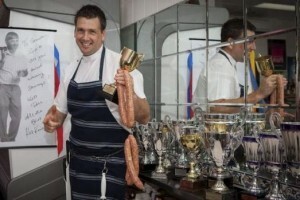 The ACT’s sausage-making champion, Cameron Fenson, also snagged his second national title at the National Sausage King competition. Every good chef knows the focus of any great meal is the meat. 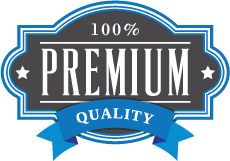 So ALWAYS get the best quality you can afford. “Now where is our friend the butcher, come here, the sausage maker,” Mr Turnbull beckoned.